Internal Investigations Division (IID) found offences on the part of policemen in “Golyanovo case”. Head department of IID, Ministry of Internal Affairs, Russia proved offences on the part of policemen towards former employees of Prodykty store who were living in slavery. In particular, the institution’s official letter received by Civic Assistance Committee read: “In the course of checking information on non-admission of response action on the case were partially acknowledged”. The document informs us that guilty policemen were brought to disciplinary responsibility by the order of the chief of Department of Internal Affairs, Eastern District, Moscow. 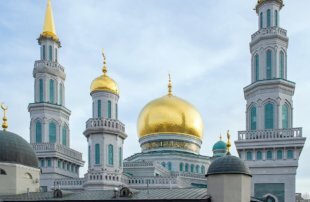 The letter also says that materials of check-up were sent to Preobrazhenskiy investigation department for making a decision on opening a criminal case. For Golyanovo case this is an important achievement. 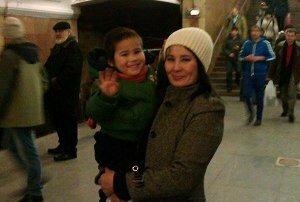 For many months lawyers of Civic Assistance Committee and Memorial Human Rights Centre who were defending interests of the victims, were confronted only with refusal of opening criminal cases and inactivity of interrogator Damir Samerkhanov on complaints of former employees of Prodykty store. IID’s recognition of offences on the part of OVD Golyanovo officers, on whose territory “slave-holding” store was functioning for many years, gives some hope that the situation will develop in the direction of criminal prosecution of the store’s owners Jansul Istanbekova and Saken Muzdybayev. At the same time in Shymkent (Kazakhstan) eight criminal cases were opened against them on complaints of former sellers who lived like slaves. Investigator E.Akmolda intends to contact Russian investigator Samerkhanov for exchange of information and probably for negotiations on parallel or mutual investigation. Also on the complaint of the store employee a criminal case was opened in Uzbekistan under Article “Human Trafficking”. At the moment it was stopped because the accused was put on a wanted list. We would like to remind you that on October 30, 2012 a group of civil society activists and human rights defenders with the participation of journalists released from the back rooms of Prodykty store in Novosibirskaya street in Moscow 11 people, one woman refused to leave. 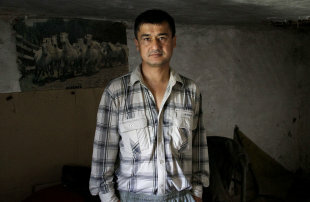 Nine women and three men, citizens of Kazakhstan, Uzbekistan and Tajikistan has spent in slavery up to 10 years. On November, 1 the investigation committee announced that pre-investigation check of findings in mass media would be held. On November, 4 the case was opened on p. “zh” p.2 Article 127 PC RF – “illegal deprivation of freedom of two and more persons”. On November, 6 order on institution of criminal proceedings was denounced. Since that time investigator Samerkhanov hasn’t made any further action on filling complaints (including new ones – about forced labour) of former workers of Prodykty store. Besides, victims were denied to open a case on the fact of injury infliction. 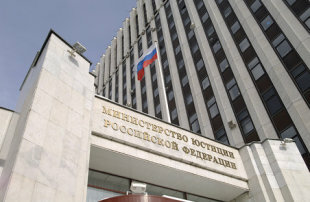 Inquiry officers of OVD Preobrazhenskiy received investigation committee’s materials in order to check the presence of crime components in the store owners’ actions and after having questioned only them and ignoring victims’ evidence, made a decision to refuse to start a criminal case. The next court sessions on “Golyanovo case” (on inactivity of interrogator Samerkhanov) will be held on March 29 and April 3 at Preobrazhenskiy district court, Moscow.